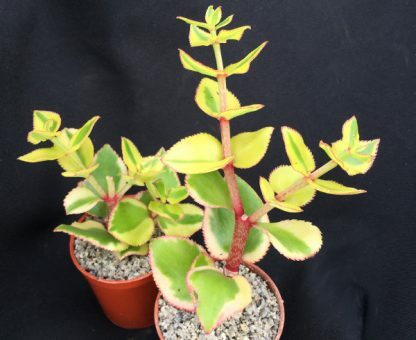 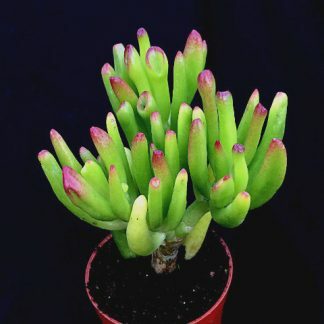 crassula sarmentosa ‘Variegata’, is a quick growing trailing succulent, that can light up any display. 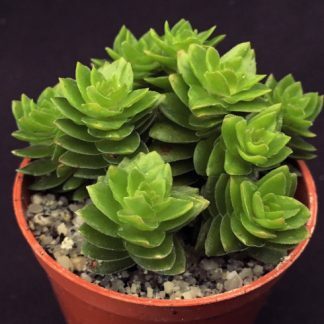 It will spread quite nicely if given the room, pruning this succulent will encourage it to offset keeping much a more compact shape and form. 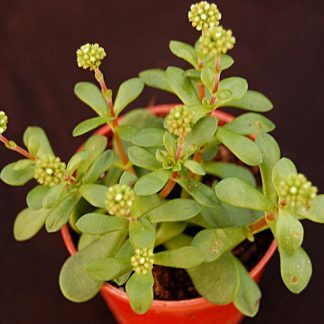 Prefers semi-shade in the summer, grows very nicely if hung in a bright window.